What if you get left homeless between moves? In an ideal world, moving from one home to the next would happen like magic. Find that perfect buyer to purchase your home and immediately find your dream home, wiggle your nose and each home is empty, clean and ready to move in. Everyone goes to closing on the same day, calls their respective movers and wala magic! Sounds great right? The only problem is now you are living in the dream home of its future resident and the current resident of your future dream home is still residing there and EVERYONE needs to move, at the same time!!!! That could leave you temporarily homeless. Phew! Okay, honestly it usually isn’t all that difficult but I have personally seen it happen. So what if you sell your home and they want to take possession right away but you can’t close on your new home for a couple of weeks? Don’t worry there are a couple of options, with very different price points. 1. Call up your local movers and have them come and load your items, put them in their storage and bring them to your new home. cost breakdown: Pay movers to load, pay movers to come to new home and unload, weekly rental of the truck, fuel, rental of moving pads, mileage on truck. cost breakdown: Pay movers to load pod, pay movers to unload pod, pay two delivery fee’s and two pick up fee’s for POD, transportation fee, container fee, moving pad rentals. 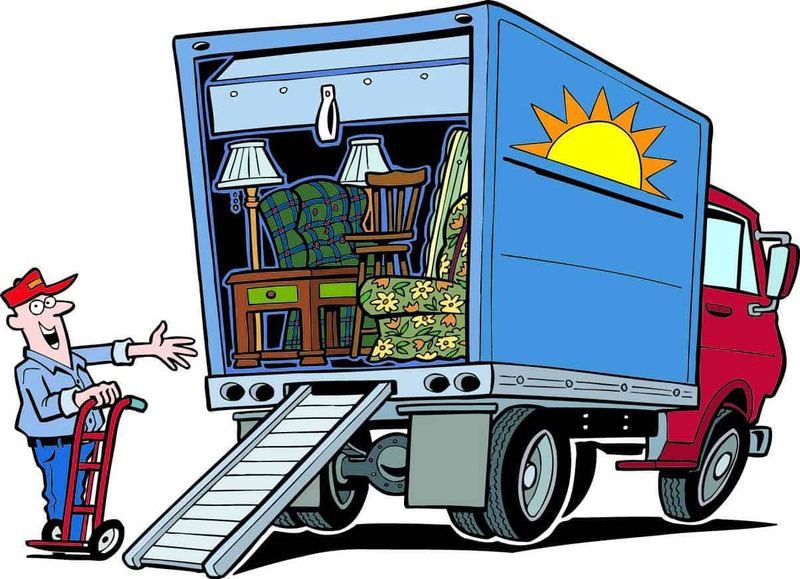 Obviously the cost is going to vary greatly with each option, but there is also the fact that the more times your items get moved, loaded, unloaded the greater risk you have of something getting damaged. With two of your options reducing that risk by only loading your items once and only unloading once, I would definitely recommend narrowing down your selection to one of those options. Benefits of Renting a Portable Storage Unit vs. renting a truck : You don’t have to worry about where to keep it for two weeks. Other than that I really don’t see the benefit. Transportation, fuel, container, delivery, pick up monthly fee’s for portable storage really add up fast! Truck rental companies usually have a pretty good weekly rate and since the truck will be sitting you don’t have to worry about racking up a bunch of mileage or fuel charges. Another way to save money on this option is to add the rental truck to your insurance policy instead of taking their insurance, this will save you about $40 per day. Also since the moving company can’t leave their moving pads with you for two weeks, you may consider purchasing moving pads and then selling them to the moving companyafter your move is complete, this will save you on rental fee’s for the moving pads. Living in limbo for two weeks is bound to cost you some mulaah but there are ways to reduce the impact on your wallet and your furniture.